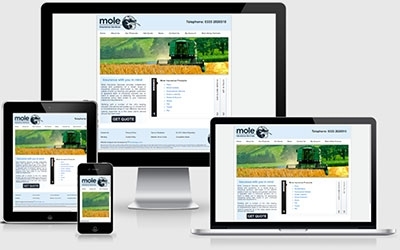 Insurance Brokers Pavey Group teamed up with Mole Valley Farmers to launch a suite of exciting insurance products tailored and suited to those in the rural sector. The website deals with collecting information from a plethora of insurance products, ranging from Equine to Tradesman. The information is accessed via the sophisticated admin panel where the staff have plenty of tools at their fingertips. The website also benefits from being built totally on the HTTPS platform and is protected by an extra validation SSL (green address bar). This provides customers extra peace of mind, knowing their private data remains private.